Stock cabinets are referred to as premanufactured in standard sizes, which is also divisible by three. When it comes to the width, stock kitchen cabinetry starts at 9 inches wide and moves up in 3 inch increments to the biggest size available, mostly 48 inches wide. Heights range from 30 to 33 inches. 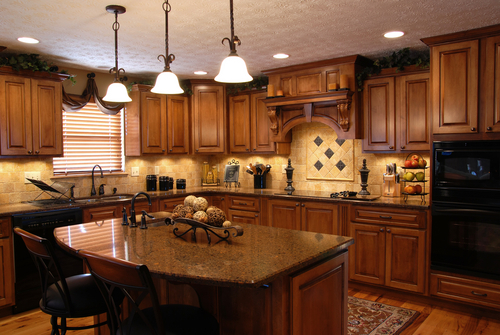 This kind of kitchen cabinetry is made to the standards of the manufacturer. Usually melamine or plywood is used with veneers and standard joinery. Each modular component fits with another to complete the kitchen design. This kind of kitchen cabinetry is custom built to your personalized specifications. You select the materials, which encompasses the kind of wood and finish, state the sizes and features needed. Measurements of the custom cabinets may vary, which lets you to design and specify cabinetry that fits into the strangely shaped corners and runs along the wall at any length. Cuisines Modena Custom cabinets are made from the same materials as the stock cabinets, but the lead time is quite longer in the customized cabinets. Many people choose solid wood when investing in custom cabinets, offering lifelong durability and ability to redecorate in the imminent years.